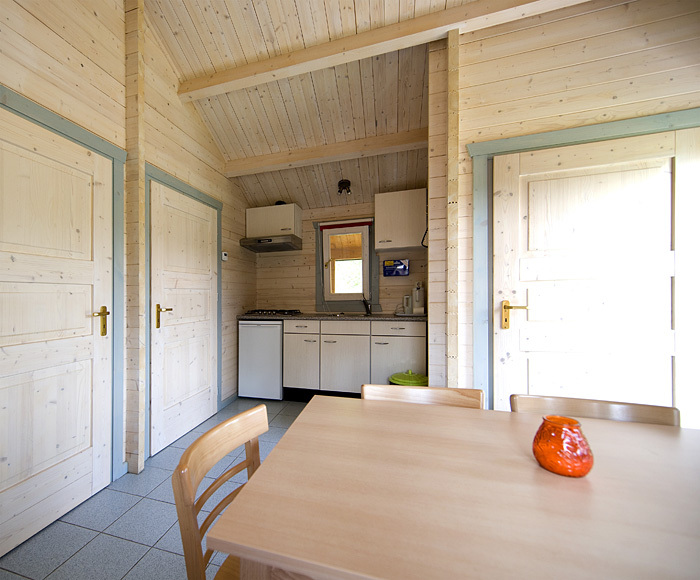 The cottage consists of a living room with a fully equipped kitchenette (4 gaz jets) and refrigerator. 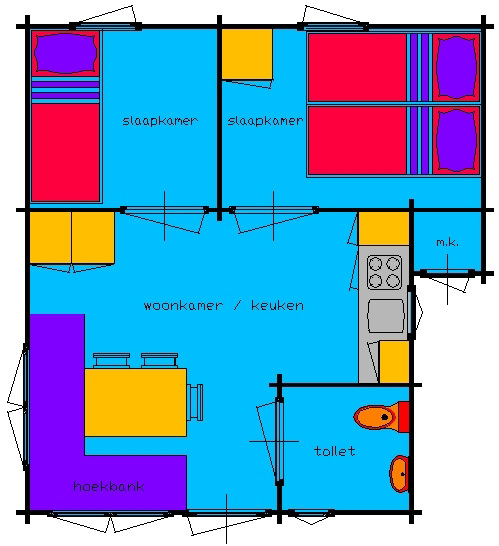 2 bedrooms with 2 or 3 beds and a bathroom with washing-stand and toilet. 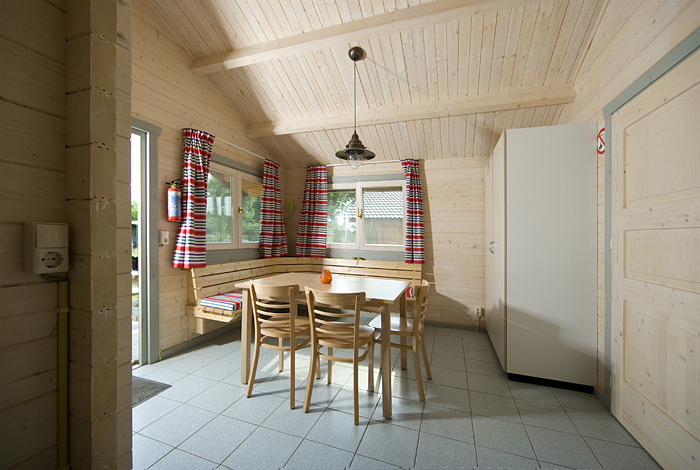 The cottage is equipped with a central heating, so very well suitable during the wintertime (the energy costs are included in the price). Pillows are available, bedding you have to bring yourself or can be rented. BBQ is permitted, pets are welcome but have to be kept on a leash. The cottage is wheel chair proved! (large doors and no thresholds). You are welcome at/after 14.00 am on the day of arrival. 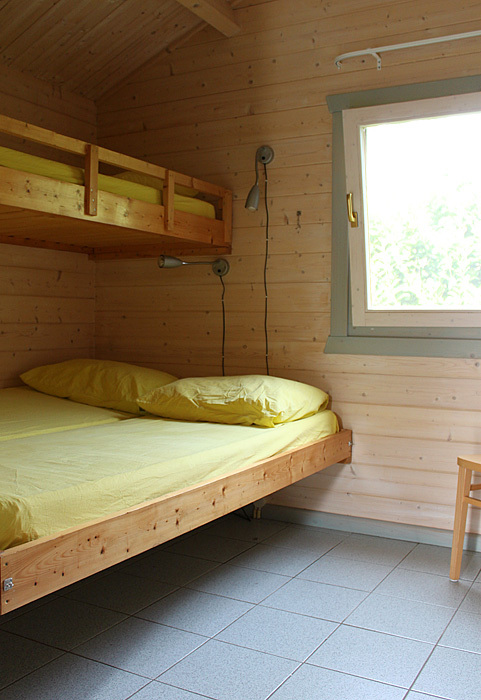 The day of departure, you have to leave the cleaned cottage at max. 11.00 pm. The best location to discover the hospitable province of Brabant!